Jerusalem (AFP) - Israeli forces in the southern Gaza Strip are searching for a missing soldier they fear may have been captured by militants at the start of a new ceasefire Friday, the army said. The United Nations said two soldiers had been reported killed, apparently during the same firefight that led to the abduction. 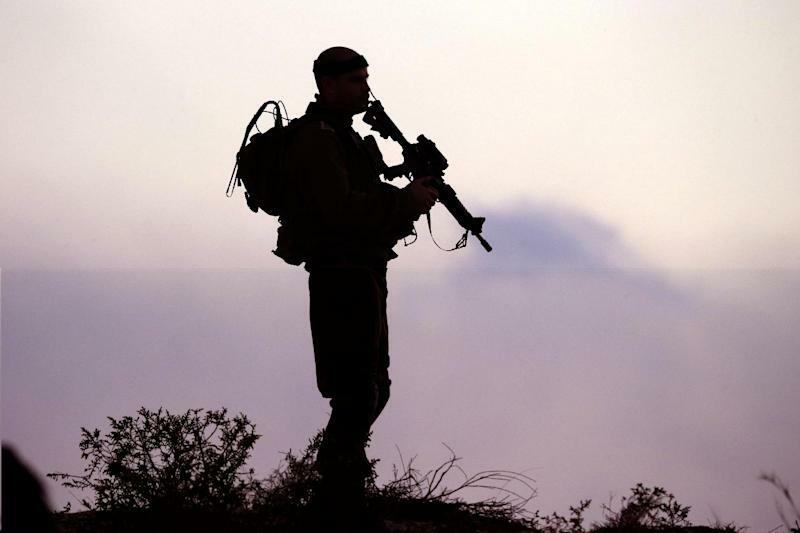 "Initial indications suggest that a soldier has been abducted by terrorists in an incident where terrorists breached the ceasefire," spokesman Lieutenant Colonel Peter Lerner told journalists. Asked if that meant the truce was over he replied: "Yes. We are continuing our activities on the ground." Hamas, the main political and military power in Gaza, neither confirmed nor denied the capture. But it said Israel's announcement of the capture was simply a "justification for Israel retreating from the truce, and a cover-up for massacres especially in Rafah," referring to Israeli shelling that killed at least 35 people just hours after the truce took hold. Lerner said the soldier went missing during a fight with militants who emerged from a concealed tunnel, one of whom blew himself up with an explosives belt. He said the clash took place in Rafah, on the border with Egypt, where an AFP correspondent earlier reported fierce fighting as the army warned residents by telephone to stay in their houses as it "pursued terrorist elements." A separate military statement said the incident took place at around 0630 GMT, 90 minutes after a 72-hour ceasefire was to have gone into effect. But Hamas said it was Israel which violated the truce. "It is the occupation which violated the ceasefire. The Palestinian resistance acted based on... the right to self defence (and) to stop the massacres of our people," spokesman Fawzi Barhum said in a statement. The United Nations said it was informed by Israel of "a serious incident this morning after the start of the humanitarian ceasefire at 8:00 am (0500 GMT), involving a tunnel behind IDF (army) lines in the Rafah area." "Two soldiers were reportedly killed, as well as a number of Palestinians," said a statement from the UN special coordinator for Middle East peace, Robert Serry. "If corroborated, this would constitute a serious violation of the humanitarian ceasefire... by Gazan militant factions, which should be condemned in the strongest terms," the statement said.